While every effort has been made to ensure display of accurate data, the vehicle listings within this website may not reflect all accurate vehicle items. All Inventory listed is subject to prior sale. The vehicle photo displayed may be an example only. Please see the dealer for details. Vehicles may be in transit or currently in production. Some vehicles are shown with optional equipment. See the actual vehicle for complete accuracy of features, options & pricing. 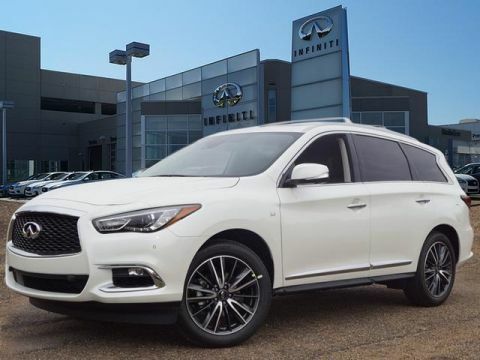 Because of the numerous possible combinations of vehicle models, styles, colors, and options, the vehicle pictures on this site may not match your vehicle exactly; however, it will match as closely as possible. Some vehicle images shown are stock photos and may not reflect your exact choice of vehicle, color, trim and specification. Not responsible for pricing or typographical errors. Virtual Inventory, Available Configurations, and In-Transit inventory contain vehicles that have not actually been manufactured. These vehicles show consumers sample vehicles that may be available. Pricing, Options, Color and other data pertaining to these vehicles are provided for example only. All information pertaining to these vehicles should be independently verified through the dealer. Tax, title, license (unless itemized above) are extra. Not available with special finance, lease, and some other offers. 3rd Row Seat, Navigation, Heated Seats, Sunroof, iPod/MP3 Input, Satellite Radio, Alloy Wheels, [K01] ESSENTIAL PACKAGE, [V01] PROASSIST PACKAGE, Premium Sound System, Rear Air. LUXE trim, HAGANE BLUE exterior and High Contrast Wheat interior. EPA 27 MPG Hwy/20 MPG City! CLICK ME! Third Row Seat, Sunroof, Power Liftgate, Rear Air, Heated Driver Seat, Premium Sound System, Satellite Radio, iPod/MP3 Input, Aluminum Wheels, Keyless Start, Dual Zone A/C, Heated Seats. Rear Spoiler, MP3 Player, Privacy Glass, Remote Trunk Release, Keyless Entry. ESSENTIAL PACKAGE INFINITI InTouch w/Navigation & InTouch Services, lane guidance, 3D building graphics, 4-year complimentary trial of select package, 1-year complimentary trial of premier package and SiriusXM Traffic w/4-year complimentary trial access, Voice Recognition for Navigation Functions, 1-shot voice destination entry, Rain-Sensing Front Windshield Wipers, Around View Monitor w/Moving Object Detection, Front & Rear Sonar System (2FR/2RR), Illuminated Kick Plates (IKP), PROASSIST PACKAGE Auto Side Dimming Mirrors, Intelligent Cruise Control (Full-Speed Range), Blind Spot Intervention (BSI) System, High Beam Assist, Front & Rear Sonar Sensors (4FR/4RR), ECO Pedal, Distance Control Assist (DCA), Lane Departure Warning (LDW), Backup Collision Intervention (BCI), Lane Departure Prevention (LDP), Active Trace Control. 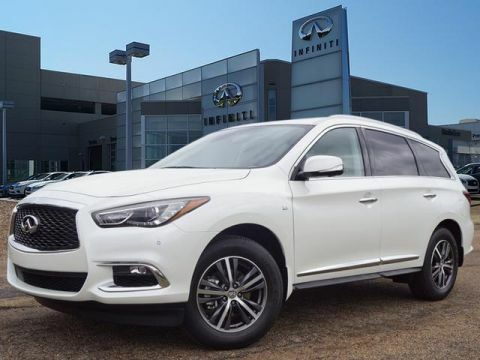 INFINITI LUXE with HAGANE BLUE exterior and High Contrast Wheat interior features a V6 Cylinder Engine with 295 HP at 6400 RPM*. 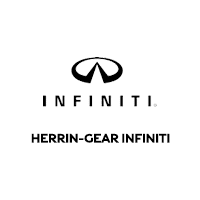 Herrin-Gear INFINITI of Jackson offers an impressive selection of new and pre-owned vehicles. 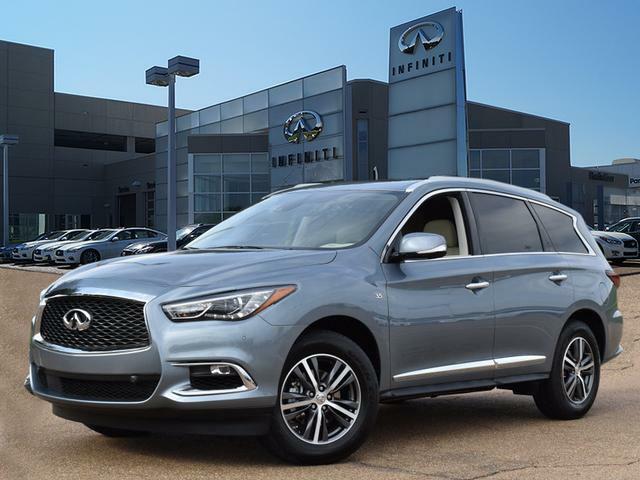 At your Madison INFINITI dealer alternative, we not only have crossovers like the QX50 and QX70 but also coupes and convertibles. Feel free to call us at (855) 496-9677 or email us with any questions you may have! 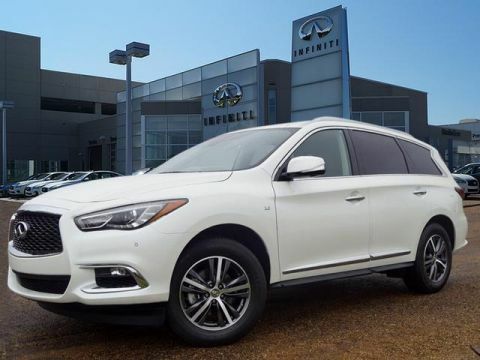 We would also like to invite Canton INFINITI customers at our dealership. We are conveniently located for customers from Flowood, Brandon, and Pearl as well.